Beautiful piece. Reminds me of angel wings, heart and peace. Made with a beautiful purple artique glass outer broder, crushed ice and yellow border. 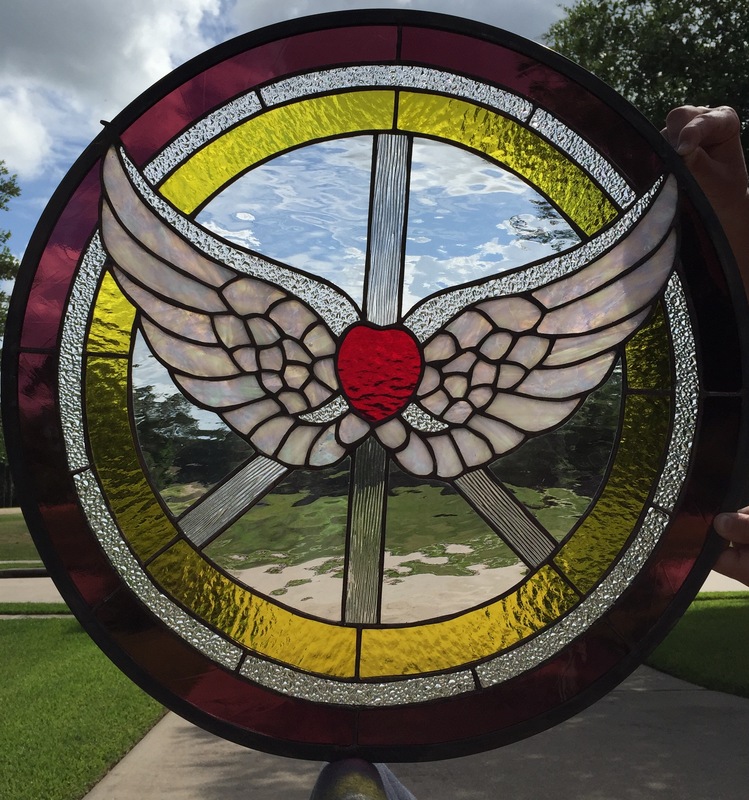 Wings are made of iridized glass, heart with red hammered and peace sign out of reeded glass. Measures approximately 23″ in diameter. For more information please call (713) 899-0933. 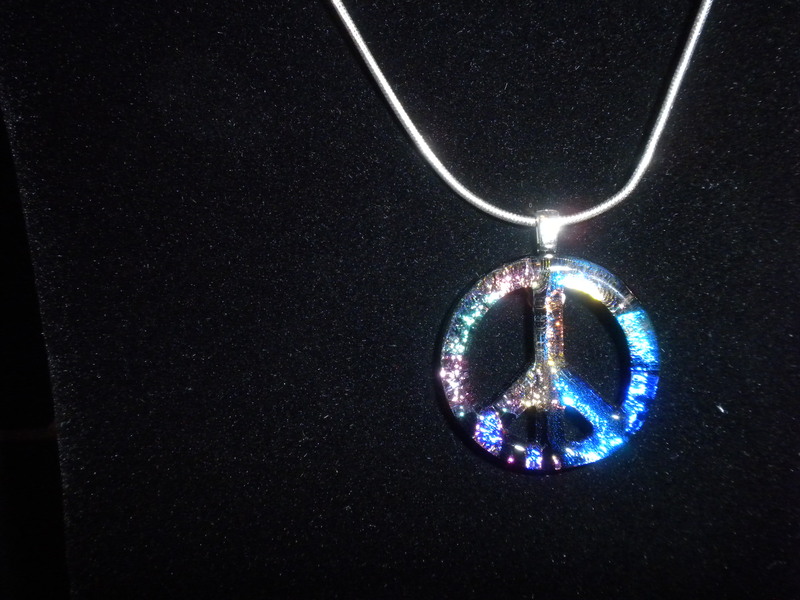 Beautiful Peace Sign Glass Pendant made from stained glass and dicroic fused together! Comes on a 20″ silver plated necklace. Have different beautiful colors. Pictures don’t do it justice. They are beautiful. If you would like to see them please let me know at (713) 899-0933! !